The PlaySpan hackers released details for two million accounts online. Online market place provider PlaySpan has been hacked, and the details of over two million accounts were released online. Visa-backed PlaySpan provides a real world storefront for thousands of games, many of them freemium, and all of those games could be affected by this hack. So far it would seem that the hackers only posted user IDs, email addresses and PlaySpan encrypted passwords online. PlaySpan says there is no evidence that credit card details have been accessed. The PlaySpan site is down, and the Marketplace is also out; if you were wondering why you couldn't buy anything in- game, now you know. 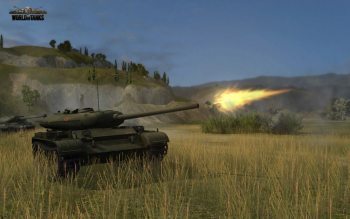 World of Tanks gamers in particular have been warned that their details are vulnerable and passwords should be changed. Some sites reported that RuneScape and EVE Online were also affected, but this was incorrect. However if you have a PlaySpan account and there's the slightest chance that you might have used the same password for that as for any other game, now's the time to switch. PlaySpan is conducting what a spokesperson described as a "forensic analysis" and apologized for any frustration or inconvenience caused to its customers. "We know PlaySpan's business depends on consumer trust," said the PlaySpan spokesperson. "Security is a top priority for us, and we are redoubling our efforts to strengthen PlaySpan's overall system security."